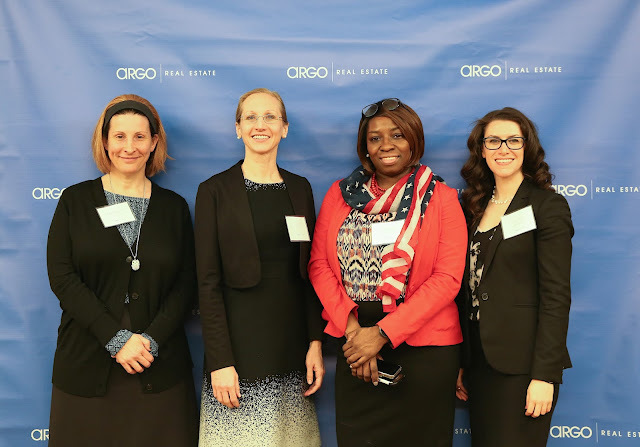 On February 21, 2017, Michelle Maratto Itkowitz was proud to be on a panel with leading industry experts in the NYC Co-Op space at "Argo University for Boards", a unique training program created by Argo Management to bring high quality content and learning to NYC Co-Op leadership on the topics that matter most to them. The panel was on Preventing Airbnb and Other Short-Term Illegal Subleasing in Co-ops. Click here to watch a preview of this panel. Michelle updated her materials, entitled "Short-term Illegal Sublets in NYC Apartments - Prevention, Detection, and Remedies", to add mention of a few new cases, such as PWV Acquisition v. Poole, 2017 WL 550196 (Sup. Ct. NY Cty. 2017). Here, the special referee found that, in 2014, the tenant made $32,603 in income from Airbnb-ing her Rent Stabilized apartment. Her rent was $12,511.32 that year. The court found profiteering! The interesting twist in Pooole was that tenant tried to mount this defense – had I known that I would lose my Rent Stabilized apartment over this, I would not have done it. The court said that this didn’t make a difference, and the tenant was evicted. Moreover, a decision recently came down in the Steele case, which was on appeal. Landlord sued to evict a Rent Stabilized tenant for unlawful subletting of her apartment and profiteering. The court ruled for landlord. Tenant appealed and lost. At trial, landlord showed that tenant: (1) listed the apartment on the Airbnb website at a nightly rate starting at $215 plus other charges; (2) provided linens, towels, wifi, TV, and housekeeping service; (3) had rented the apartment at least 120 nights in a 14-month period, with groups as large as seven adults staying up to 10 days and paying $375 per night; and (4) had reported Airbnb rental income on tax returns for 2009 and 2010 while deducting apartment expenses against that income. The trial court properly found that tenant’s conduct constituted subletting, profiteering, and commercialization of the premises. This was an incurable violation of the Rent Stabilization Law. 335-7 LLC v. Steele 53 Misc.3d 150(A), 2016 NY Slip Op 51689(U) (App. T. 1 Dept. ; 11/29/16) LVT Number: #27371. The short-term illegal sublet area continues to evolved so stay tuned!